My gratitude extends into the realms of music. 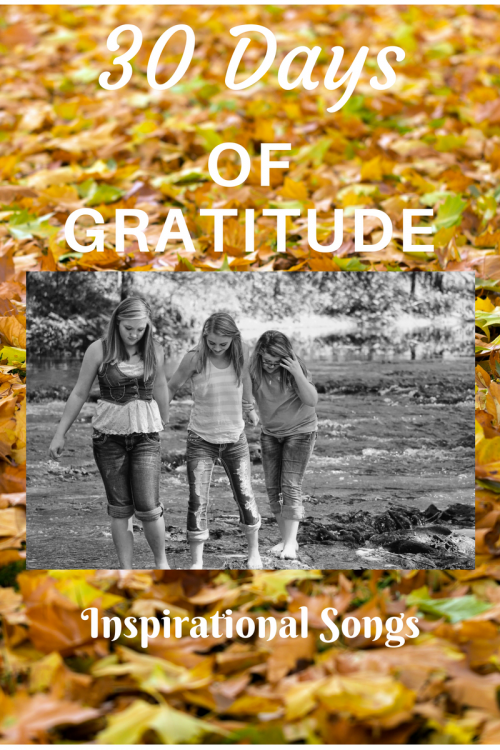 Songs uplift; inspire faith; create feelings of love; and can draw us closer to Christ. I have so many songs that for which I am grateful. Here are just a few that I love because of their message of hope in Christ. I love Give Me Jesus because it speaks to my basic faith in life. Jesus is all I need. Jesus, I can't even walk without you holding my hand. When I am in trouble, on His name I trust. My favorite lyrics from In the Garden: And He Walks With Me, And He Talks With Me, and He tells me I am His own. The joy we share as we tarry there none other has ever known. Another hymn I am grateful for. It reminds me: What a day that will be when my Jesus I shall see. I also love inspirational songs, Mary, I can’t imagine my worship time without them. Thanks for sharing these beautiful ones. The one that keeps playing on repeat in my mind now is ‘I Have This Hope’ by Tenth Avenue North. May you be blessed.